Come join us for a relaxing evening of good food and fellowship. All for a great purpose! Helping send your Beavercreek Broncos to the Oshkosh International Pathfinder Camporee in August of this year. Please arrive at 5:30 pm. 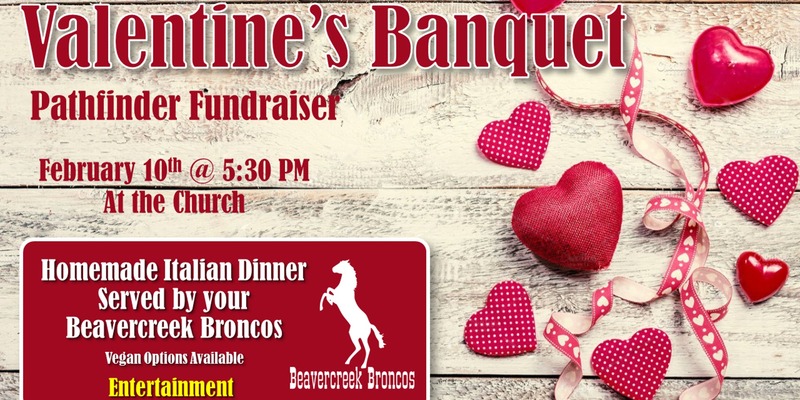 Enjoy a homemade Italian Dinner served by your Beavercreek Broncos. Vegan options are available. $10.00 per person or $30.00 for a family of 4. Pre-made vegetarian lasagnas will also be available for $20.00, that you can purchase at the event and take home to enjoy. Tickets will be sold at the door. To get a reminder of this event on Facebook, CLICK HERE.